Close Talker is the exalted indie rock trio from Saskatoon, Canada. The band has made great strides in a short period of time: two commercial releases and numerous tours throughout North America and Europe, garnering international attention from talent buyers and critically acclaimed publications. 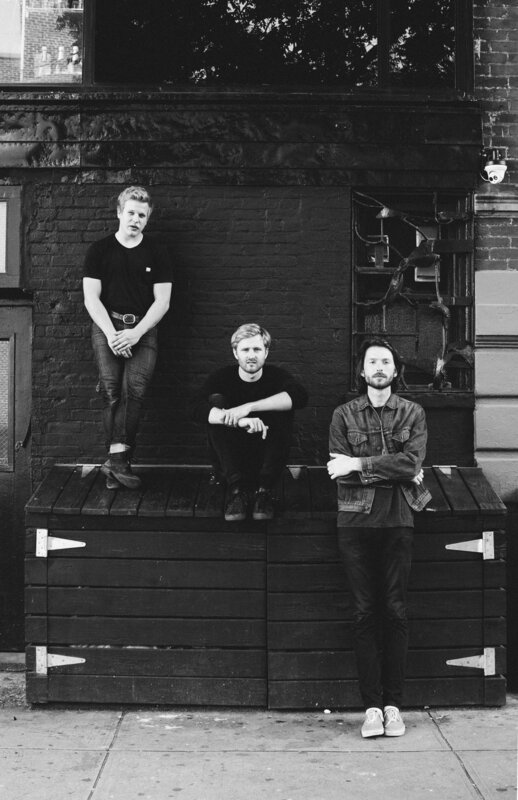 Close Talker is a band born and raised in Saskatoon, Saskatchewan, made up of childhood friends Will Quiring, Matthew Kopperud, and Christopher Morien. Originating in 2012, and since becoming a trio in the summer of 2015, the band has now honed their craft, creating a more vast and iconic sound that is turning heads and drawing crowds around the world. Each year of Close Talker’s existence has been ramping up and up. In 2017 alone, Close Talker performed over 100 shows across North America and Europe, including showcases at SXSW and Reeperbahn. Close Talker released their latest album ‘Lens’, via Nevado Music (world) and DevilDuck Records (EUR) in April of 2017. The album was well received by listeners and fans as well as in international publications, such as NPR and Billboard Magazine. Close Talker received high praise and plays on NPR’s World Café, who stated the song ‘Afterthought’ is “as intimate as it is earnest... it’s expansive and as a result, an invitation to lean right in.” Close Talker is currently working on their upcoming release TBA in early 2019, with a new musical direction for the band. Close Talker is focusing on their strengths in this new material, featuring more optimism in the lyrical performance and beauty in the surrounding instrumentation.